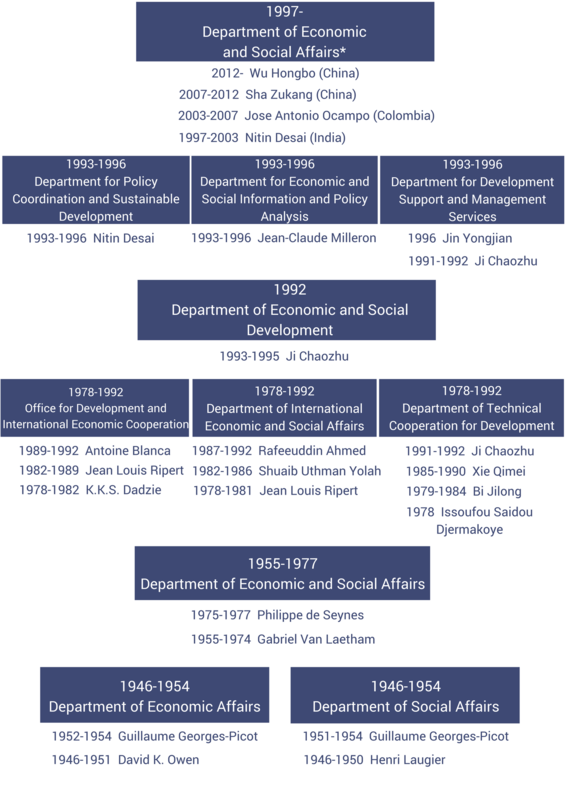 How has the Department of Economic and Social Affairs (DESA) changed over time? - Ask DAG! How has the Department of Economic and Social Affairs (DESA) changed over time? There have been many changes to the structure of the Department of Economic and Social Affairs (DESA) over the years. The chart below maps the changes the library has recorded.